Want a better Ollie? Struggling with your Kickflip? Grab your 4-pack of SkaterTrainer 2.0, skateboard, helmet and gear and head out the door. 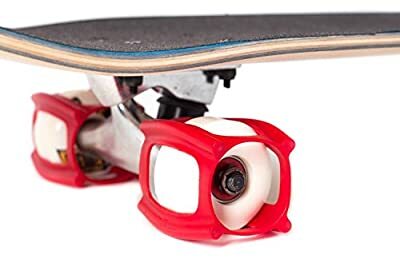 Simply pop the trainers around the skateboard wheels and they will stop the board from slipping while you learn balance and practice your tricks. Practicing difficult foot movements on a stabilized board improves confidence and speeds up progress. Then, once you've built the muscle memory for executing and landing the trick correctly, you can start increasing movement on the board. When you have it down, just pull the SkaterTrainers off and get the trick rolling. These trainers are perfect for young skaters who want to master tricks faster, or older skaters looking to re-learn old moves, keeping you safe while you learn to skate like a pro. 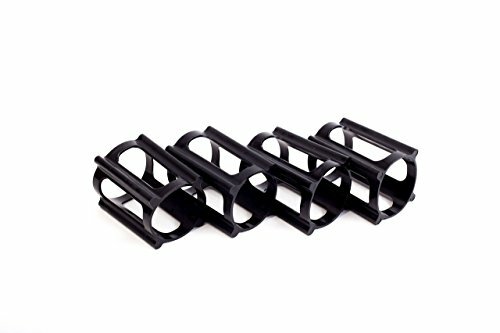 SkaterTrainers are made from a specialty selected rubber for a combination of stretch and durability. This means they can be installed and used for hundreds of skate sessions.They never need adjustment and stay in place until you are ready to take them off. We have helped thousands learn tricks... we guarantee they will help you learn some skateboard skills and the basic tricks like ollies, kickflips, shove-its, manuals and more. Parents love skatertrainers! Many parents want to help their kids get what they want out of skateboarding, but don't know how to help. SkaterTrainers make safer and help give the kids the support and confidence they need to succeed. SkaterTrainers work so well, we have had many parents learn tricks with their kids! Why wait?! Order your set of Skater Trainer 2.0's today! For kids of all ages! The perfect gift for young skaters who want to master tricks faster, or older skaters looking to re-learn old moves. How do they work? 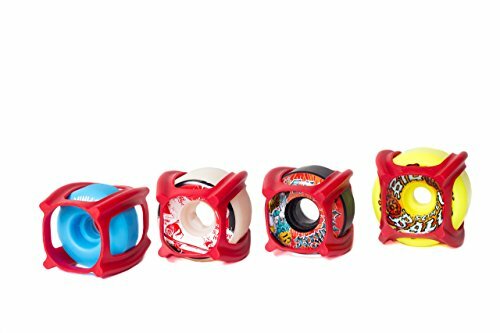 They stop your wheels from rolling, so you can experiment with tricks or work on balance. Where can I use them? Anywhere! Practice tricks in your driveway, garage... even inside your house! 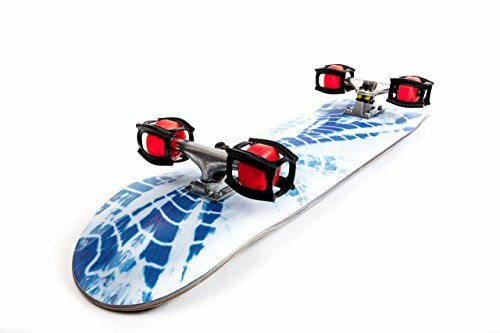 Will they fit my board? SkaterTrainers work on nearly any skateboard wheels, 49 to 65mm in diameter. What do you get? You'll receive one set of 4 trainers and stickers to pop on your wheels and go!